Human beings are wired to be aware of difference. It is natural part of human nature to forge various social alliances that foster senses of “us,” the insiders, in distinction to “them,” the outsiders. Problems arise when the outsiders become the enemy, and they further function in such a way that one’s individual and collective identity is created by way of opposition to the other. 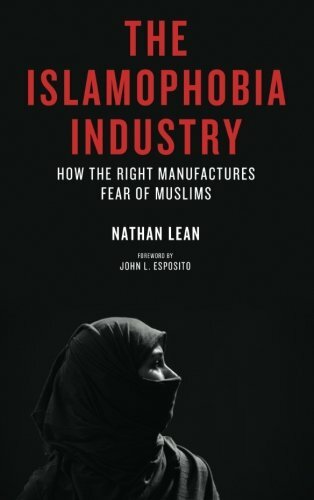 In the United States, this dynamic is all too frequently found in the post-9/11 environment in regards to Islam, where a cottage industry portrays Islam as a monstrous entity, wholly a religion of violence, pursuing terrorism and the overthrow of the US Constitution to be replaced with “sharia law.” The result of this narrative is a frighteningly large number of people adopting “Islamophobia,” an irrational fear of Muslims and the Islamic religion. How did this industry begin? Who and what make up some of its major elements? How have the media, and especially the Internet, helped carry the message of Islamic monstrosity? And perhaps most disturbingly from an Evangelical perspective, why have Evangelicals been a segment of the population all too eager to receive and perpetuate this message? 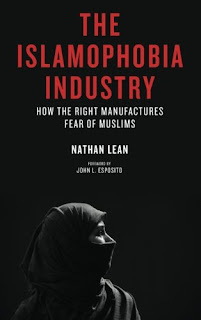 Lean’s Islamophobia provides answers to these and many other important questions, which represents one of the most significant political, cultural, religious, and theological challenges of the 21st century. The review can be read at this link. I encourage the thoughtful, informed, civil, and critical comments and interactions by Pagans and Christians. Listen to the podcast discussion here. Jason Pitzl-Waters discussion of this within the broader stream of Pagan dialogue participants at The Wild Hunt is helpful too. The current study investigates the experiences of 23 former members of New Religious Movements (NRMs) or cults with anti-cult practices and discourses in Australia. All the participants in this study report some involvement with anti-cult practices and/or engagement with brainwashing explanations of NRM affiliations; however, they describe the significance of these anti-cult resources for their sense of self in different ways. The findings suggests that for some former members anti-cult resources, in particular the brainwashing discourses, merely served as a convenient account through which to explain or justify their former NRM affiliation and manage embarrassment or possible stigmatisation, while for others these resources served an important identity function at a time of loss and uncertainty. These participants describe their involvement with anti-cult practices as a much needed identity resource in which they could anchor their sense of self following the dramatic loss of identity associated with NRM disaffiliation. To make sense of the variations in the way in which anti-cult practices and discourses informed the participants” sense of self Symbolic Interactionist understandings of the self are applied. Translation: Anti-cult organizations provide a secular means by which the individual disaffiliating from a new religion can reduce their cognitive dissonance and construct a new sense of identity. 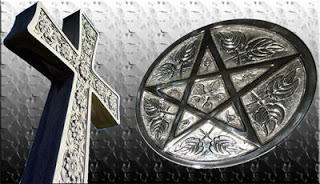 In application to the Evangelical counter-cult an approach is used wherein brainwashing is eschewed (for the most part) in favor of theological narratives of false teaching and demonic ensnarement, whereby the rejection of former identity and teachings in a new religion, coupled with an embrace of new doctrines in an alternative religious community helps provide the formative elements of ongoing identity (re)construction.